O.M.G!! We Found Lovely Kurtas And Dress Materials At This 23 Year Old Clothing Store! Yes! We’re talking about Jaishree Collections! A women’s clothing store in Anna Nagar that has been specializing in ethnic clothing since 1996. Tucked behind Naidu Hall, this tiny, two-storey store reminded us of those clothing stores in Mumbai’s Bhuleshwar with narrow stairs taking you to a second storey where you can barely stand straight. But no! We’re not complaining. Filled with beautiful fabrics and ready-to-wear kurtas and pants, every nook and corner of this store is worth looking into. Not only do the fabrics here promise comfort (it’s mostly cotton), but also come at great prices (kurtas starting just INR 400). We totally loved the Ikkat and bandhani kurta sets at Jaishree Collections that come in a variety of colours along with beautiful dupattas. 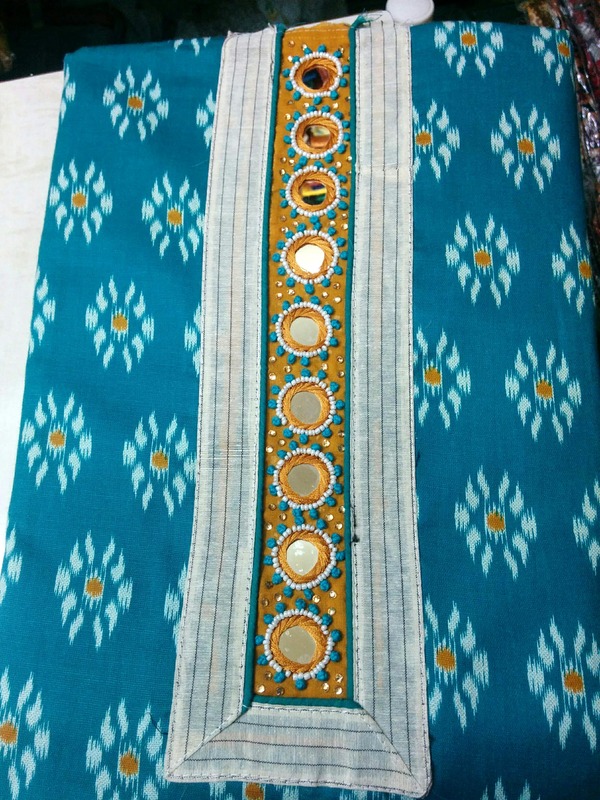 They also have several options in Lucknowi chikkankari work, block prints and a few kalamkari prints, starting INR 450. Jaishree Collections also has a lot of ready-made kurtas with the floral varieties being the fast-selling ones. We also found lovely spun cotton kurtas in straight cuts, knee-length varieties and asymmetrical patterns starting INR 500. The digital print ones were totally rad and come in a lot of bright colours or muted tones with contrasting detailing. We also found comfy shararas and palazzos in printed and shimmery patterns starting INR 500. You can also get stuff stitched or altered here at budget prices with basic stitching for kurta set starting just INR 250! Pretty cool, right?